One of my most exciting musical finds of recent years has been the band ‘Tinyfish’. They have a wonderful Englishness about them, that is reflected in their music and also in the sense of fun and humour that pervades what they do, particularly in their live shows. At the heart of that is their ebullient front-man, Simon Godfrey. Having discovered this brilliant band it came as a great sadness to learn that, following their excellent ‘The Big Red Spark’, there would be a hiatus in the band’s playing and recording together. 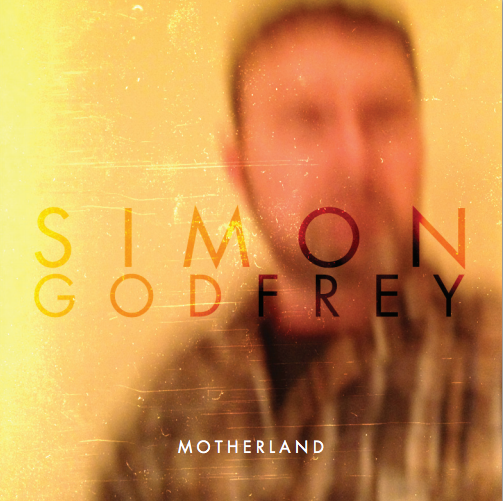 Thankfully this didn’t mean an end to the music: Godfrey went on to record a kind of ‘techno-prog’ album with Shineback – ‘Rise up Forgotten, Return Destroyed’, and recently he has released his first collection of work under his own name – ‘Motherland’. This is an album of short, simple songs (nothing over six minutes), but strong ones nonetheless: songs that, though simple, display a deceptive complexity. A collection of 11 tracks which total just under 43 minutes, this is song-writing from the heyday of the acoustic troubadours. Although dominated by the acoustic guitar, this collection displays a variety of musical textures accompanied by strong, distinctive and at times quite emotional and emotive vocals. For those familiar with Simon’s earlier work, this collection is, to my ears, more Tinyfish than Shineback. That said, the album opens with a fresh rendering of a track from the Shineback album, ‘Faultlines’, which for the first minute or so creates an expectation for the album that is soon overturned, with a moody, ambient drone giving way to folky steel guitar. The mood of the songs varies from the thoughtful and slightly melancholic ‘Faultlines’ and the instrumental title track, (with spoken word from Godfrey’s long-time collaborator Robert Ramsay) through the upbeat sequence of ‘Tearing up the Room’, ‘God Help Me If I’m Wrong’ and Tinyfish classic ‘The June Jar’, to the slow, dreamy ballad ‘Sally Won’t Remember’, for me perhaps the most heartfelt song on the album. From what I have seen and read of Simon Godfrey, he is a man who appears to enjoy life – perhaps more so now that he has secured his visa to enable him to live, work and marry in America; he is one with a great, and at times strange, sense of humour, but who shows here a seriousness and sensitivity alongside his fun side. If this is to be his parting gift to his ‘Motherland’, then it is a fine one.